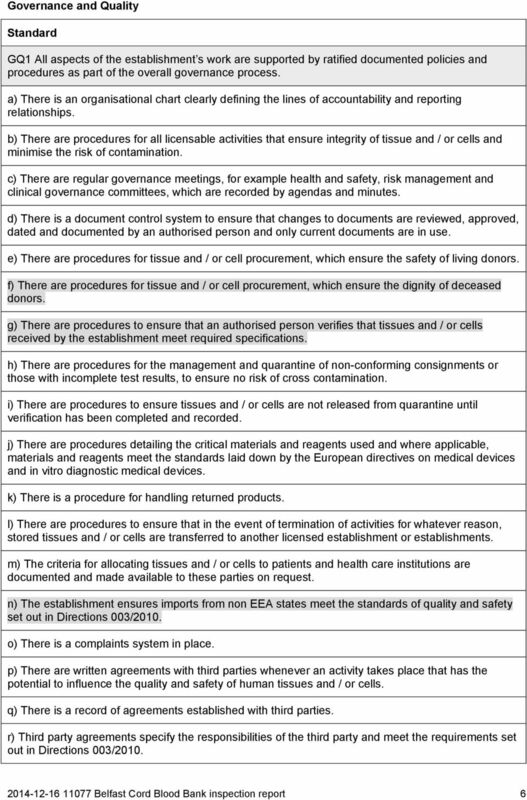 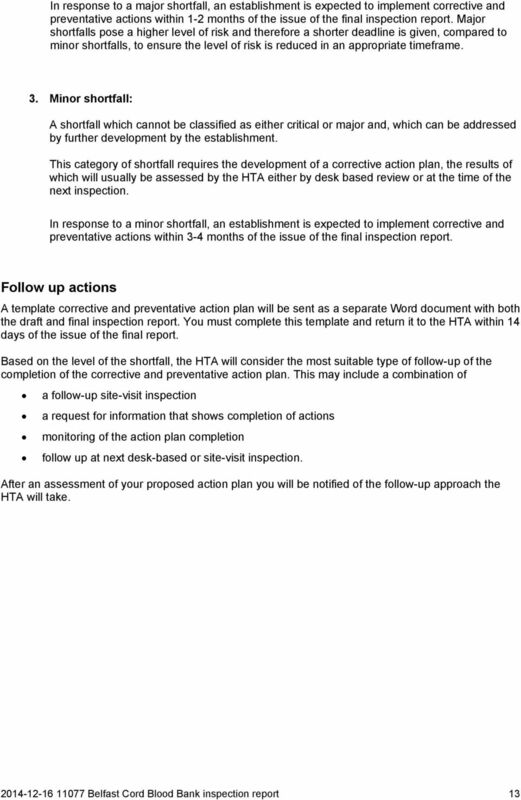 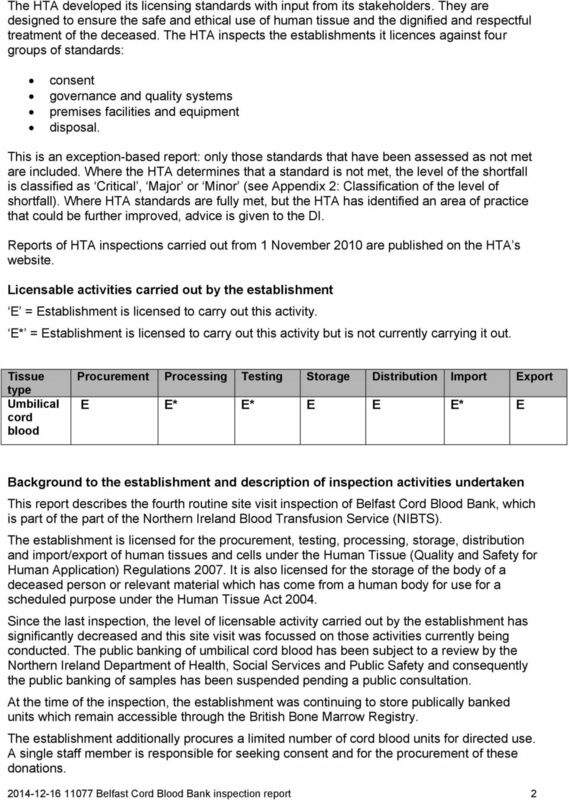 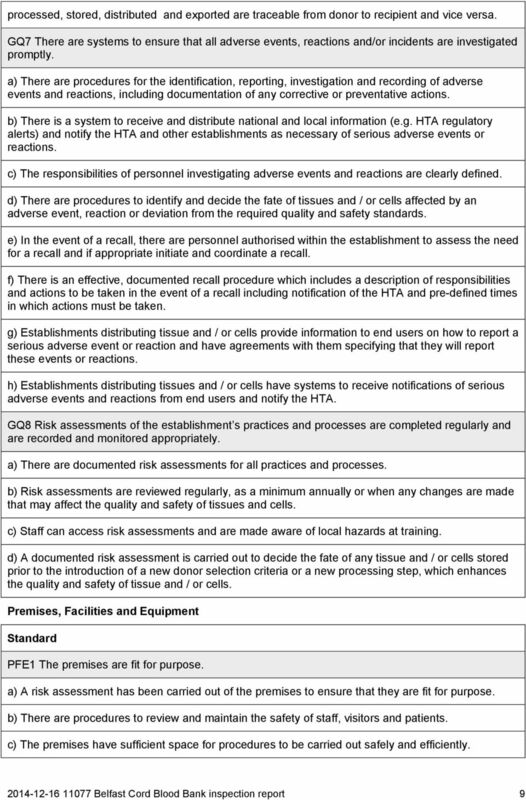 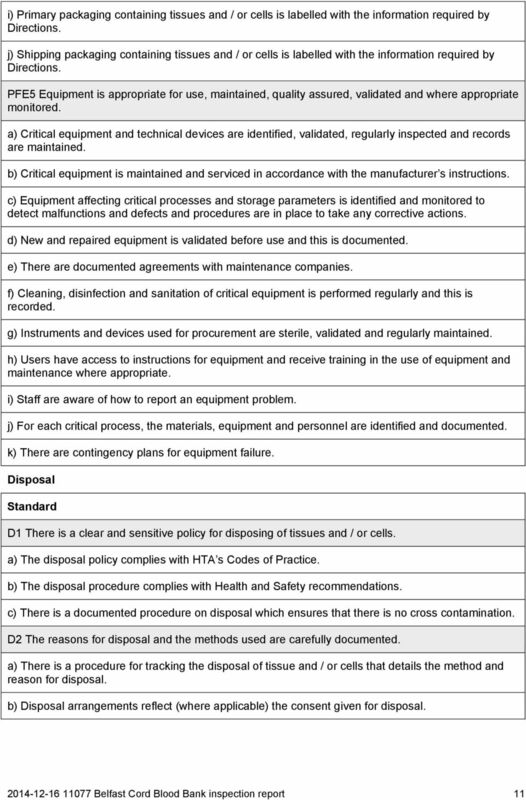 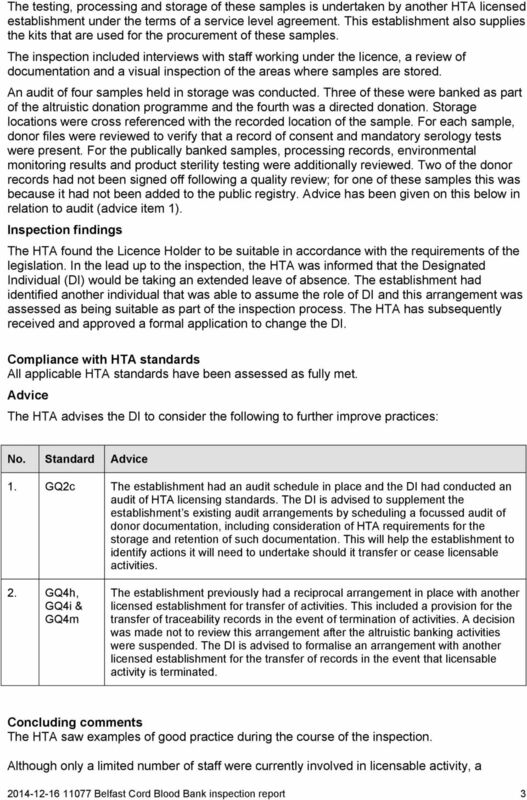 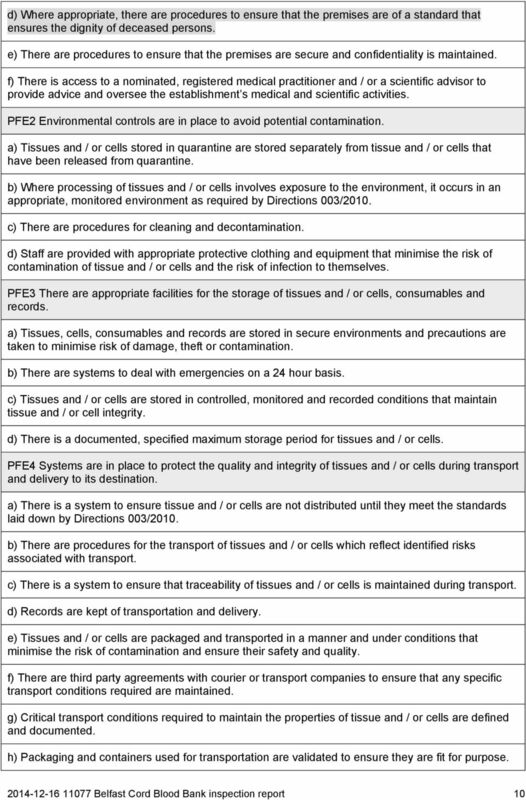 Download "Site visit inspection report on compliance with HTA minimum standards. 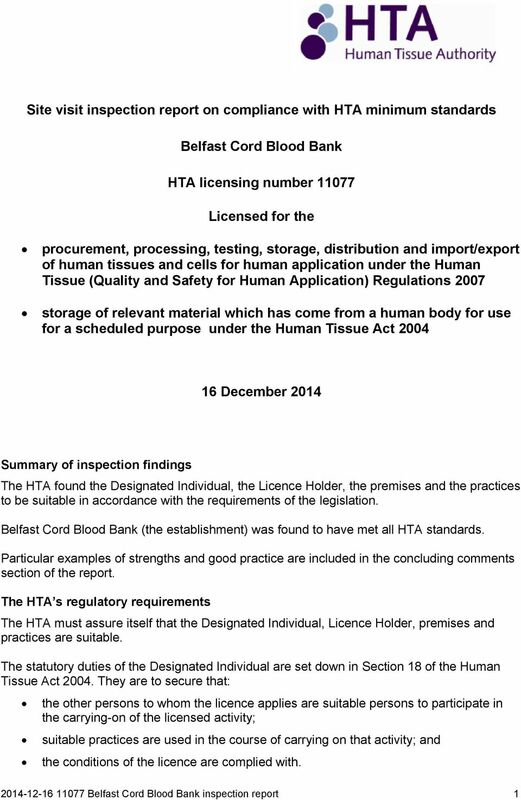 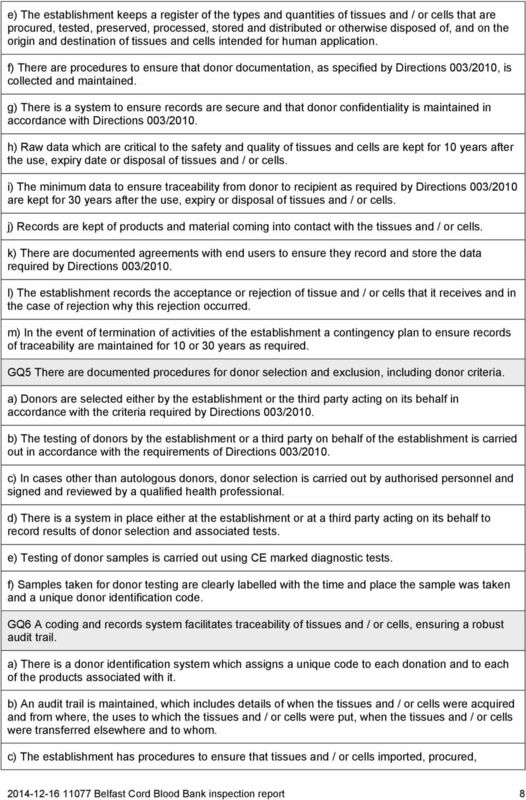 Belfast Cord Blood Bank. 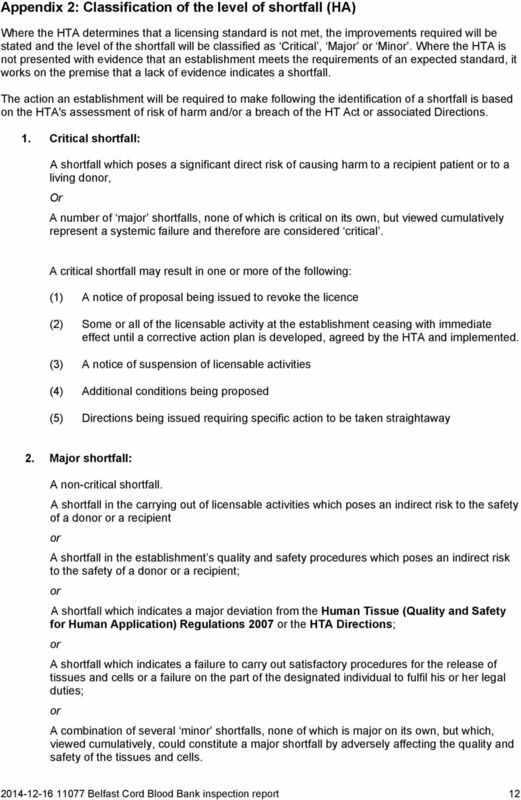 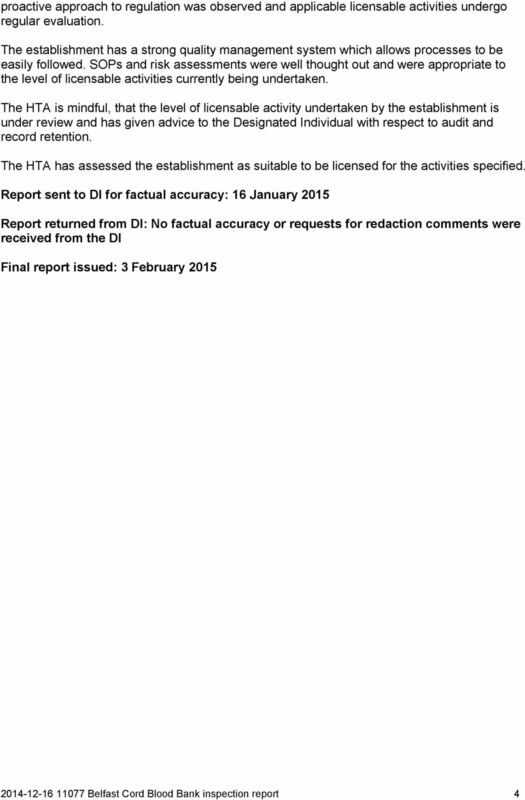 HTA licensing number 11077."